Using a simple interface, you indicate the file that should be shared. O&O FileDirect then generates an individual link that you send to the contact. The recipient doesn’t need to install O&O FileDirect in order to download the file. The only thing needed is a current browser running on an ordinary device. Due to the way an internet connection is established it is not always possible to directly connect two participants with each other, due for instance to NAT Gateways and Firewalls. The use of the O&O Software server enables a browser and O&O FileDirect to establish such a connection. Only so-called metadata is passed through this server, such as the file name, file size and data required to build a connection. Furthermore, this data is not saved on the server at any time, but is resent by O&O FileDirect when a browser requests it. Send files directly and securely – Free! The recipient needs only the link that O&O FileDirect generates and a current browser. Share files of any size quickly, easily, and – most important – securely. 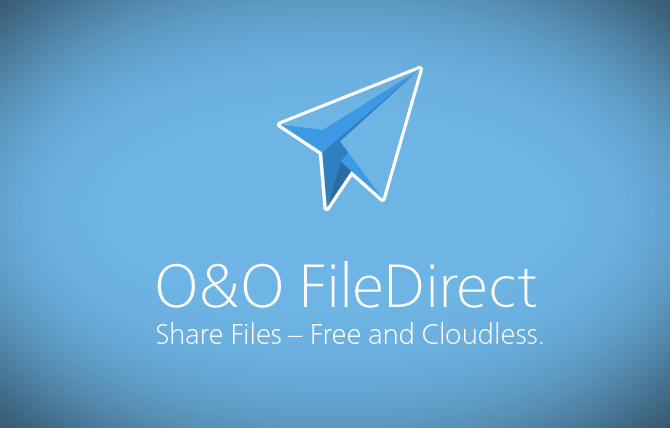 Download O&O FileDirect free from our Website. O&O FileDirect is entirely free (freeware) and will not install or download retrospectively unwanted or unnecessary software, like so many other programs do these days!